A supporter has asked for her conversation with the Housing Minister’s office about tenant advice funding to be posted here. The emails have been cut and pasted to make them show in conversational rather than emailed order. 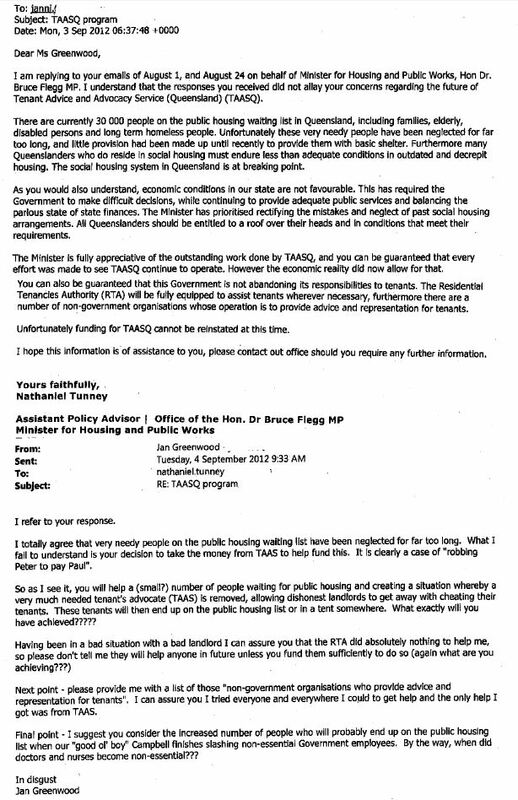 This entry was posted in Commentary, Tenant Story and tagged @KorenHelbig, qldpol, savetaas by Lead Organiser. Bookmark the permalink.